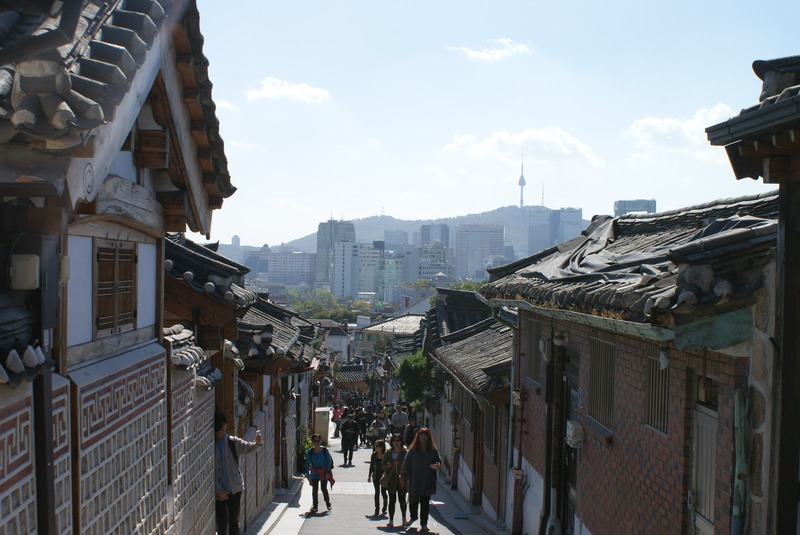 Not far from Myeongdong is Bukchon Hanok Village & Samcheongdong in the Jongno-gu district of Seoul. 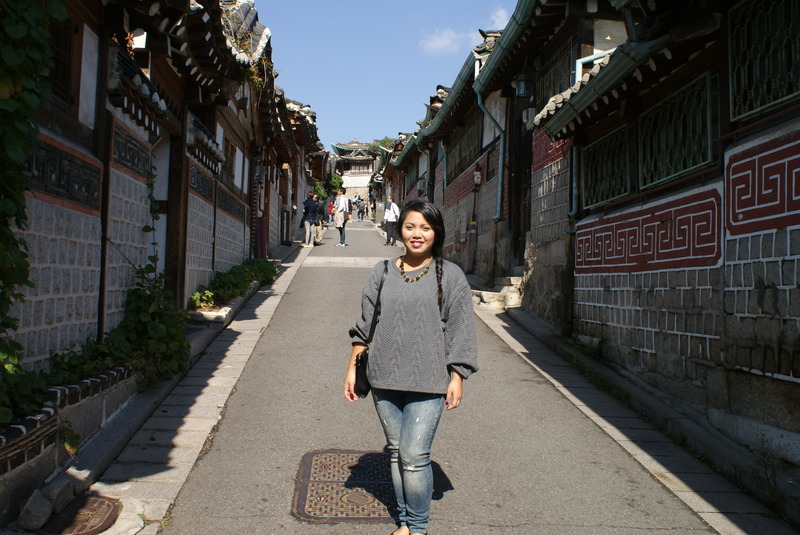 Also near by is the beautiful Changdeokgung Palace, which we ended visiting afterwards. 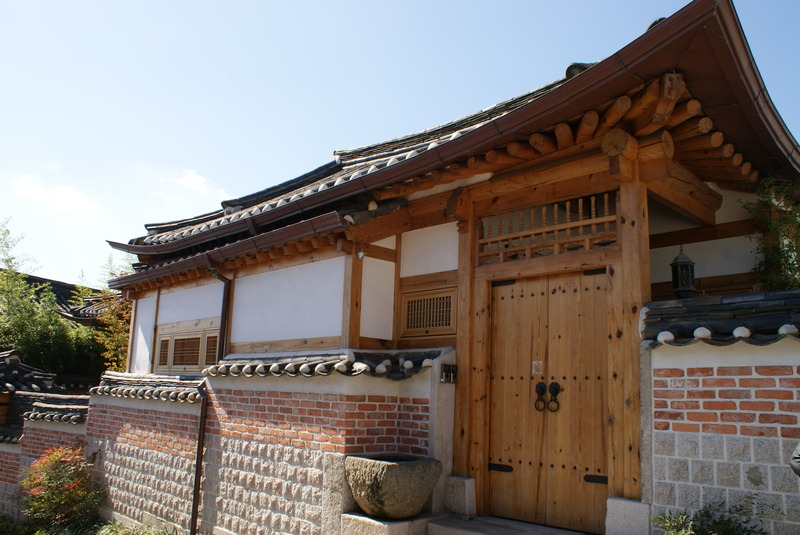 How amazing that they still have these traditional houses right in the middle of the urban sprawl that is Seoul! To confess, I do feel a bit bad. 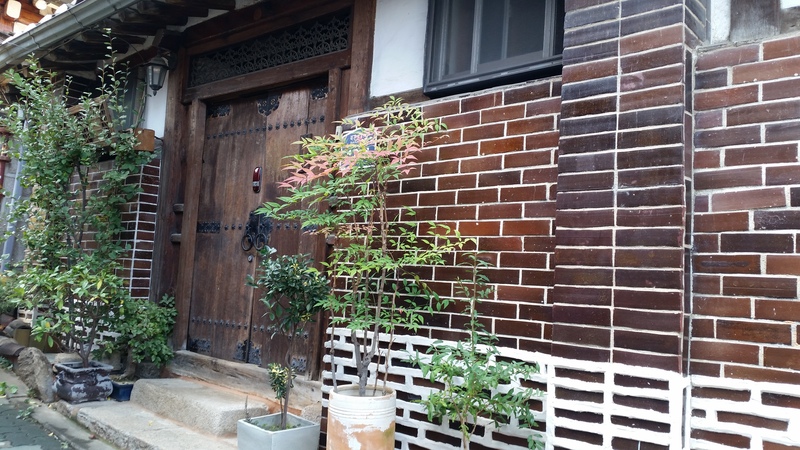 These are still residential houses, and to have hordes of tourists come through everyday must get to the residents sometimes. If I can give you one tip; be careful of where you take pictures. 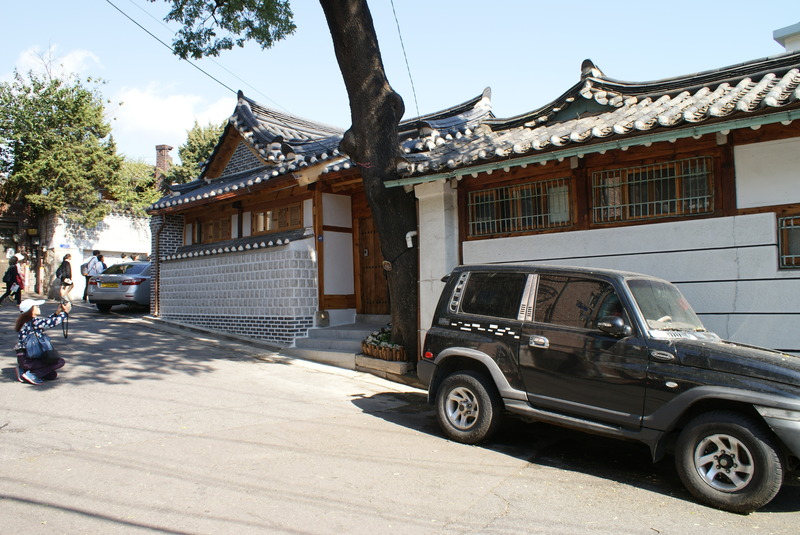 An old ajusshi ended up yelling at us because our he camera was pointed towards his house as he was just stepping out. Maybe he thought he was taking a picture of him?. Who knows, maybe our actions were just lost in translation. I understand people don’t appreciate strangers in their neighborhood, but at the same time if you live there it should be expected. 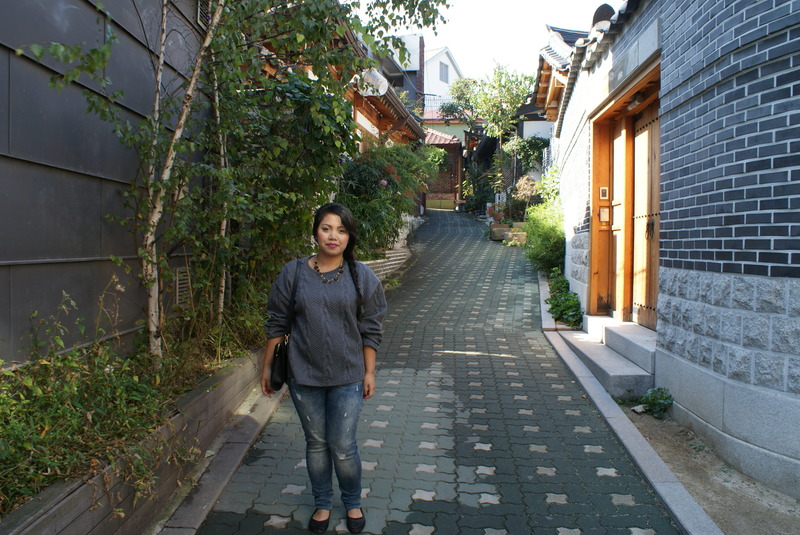 Another incident when we were in the area…..it was like seeing something out of a K-drama. An older gentleman comes storming up one of the roads, yelling, pointing, and screaming at a group of school kids. I can only speculate as to what happened, but for sure he was accusing them of doing something they weren’t supposed to be doing. He ended up getting on the phone, and calling the police. 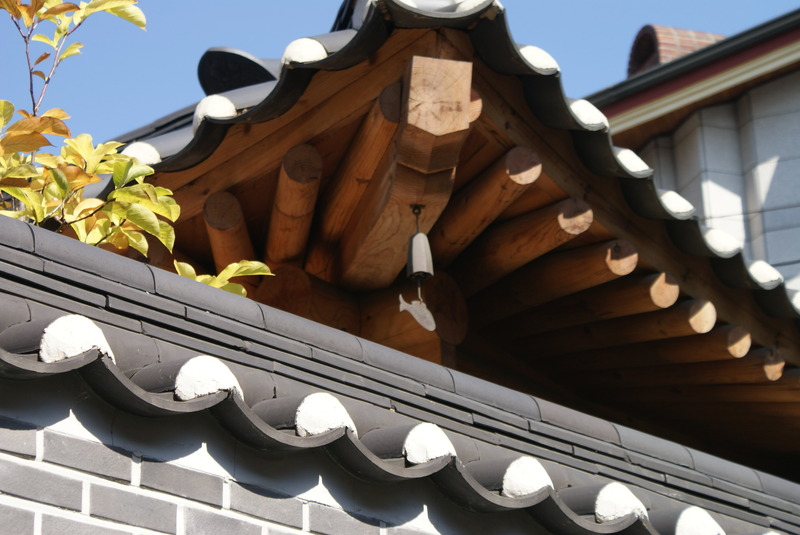 It was definitely an interesting morning in Bukchon Hanok Village! 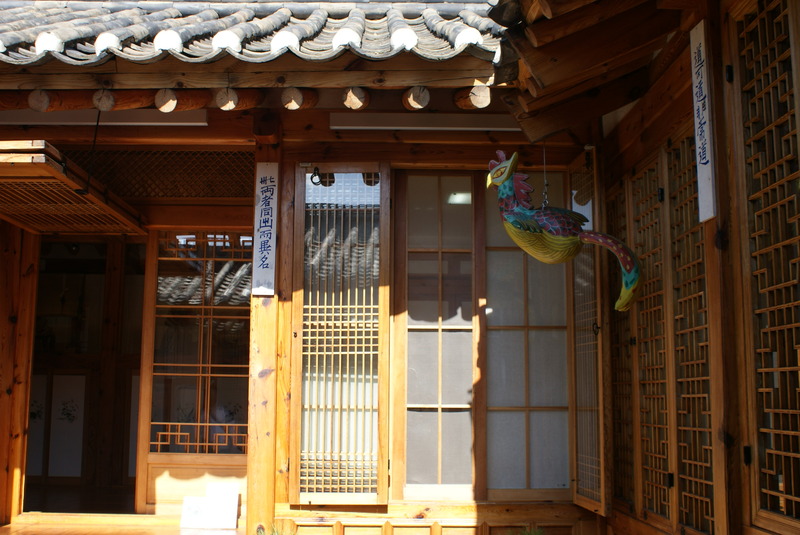 Once we walked around the village, we stopped by Samcheongdong; which is right next to the Bukchon Hanok Village. Samcheongdong is known for its small cafes, stores, and restaurants; it had a nice “boutique” feel to it. 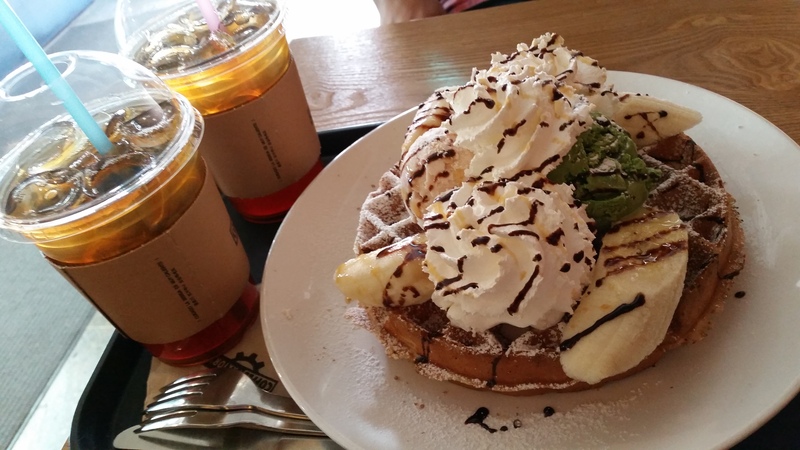 We ended up getting some breakfast in a cute cafe (waffles & tea!). I don’t know if you would constitute ice cream on waffles as breakfast though, but it was still delicious. It looks like we had similar trips! Nice pictures. Yes we did! I hope you enjoyed your trip as much as I did. I’m curious….what was your favorite part of your trip? Difficult question. 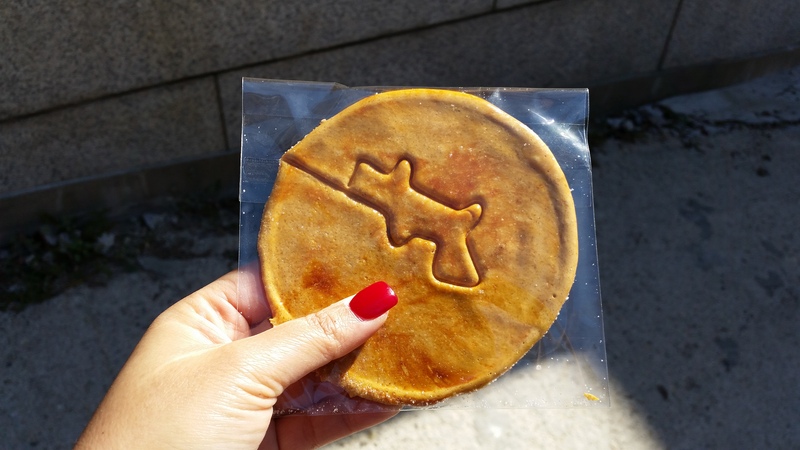 My favorite part of Seoul is either any one of the five palaces … or the food. I think I’d have to pick the food. 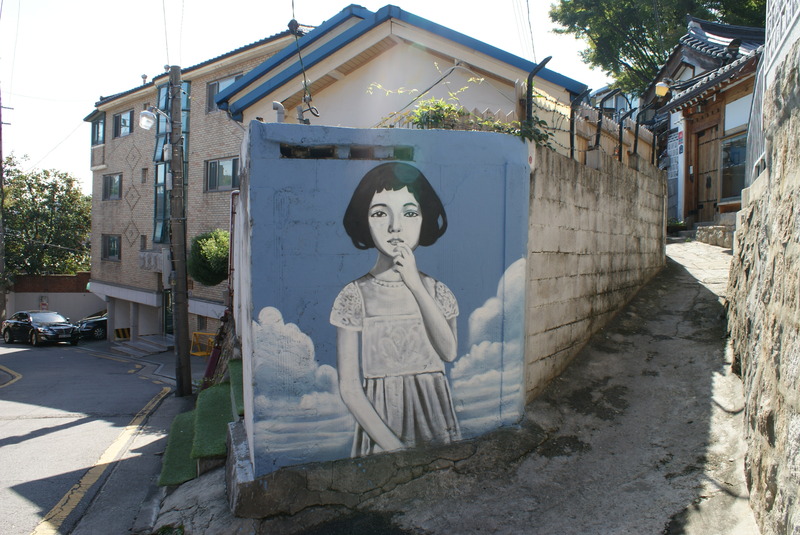 My favorite part of the Korea trip, though, has to be Suraksan. It was absolutely frozen and cold, but the view is breathtaking.